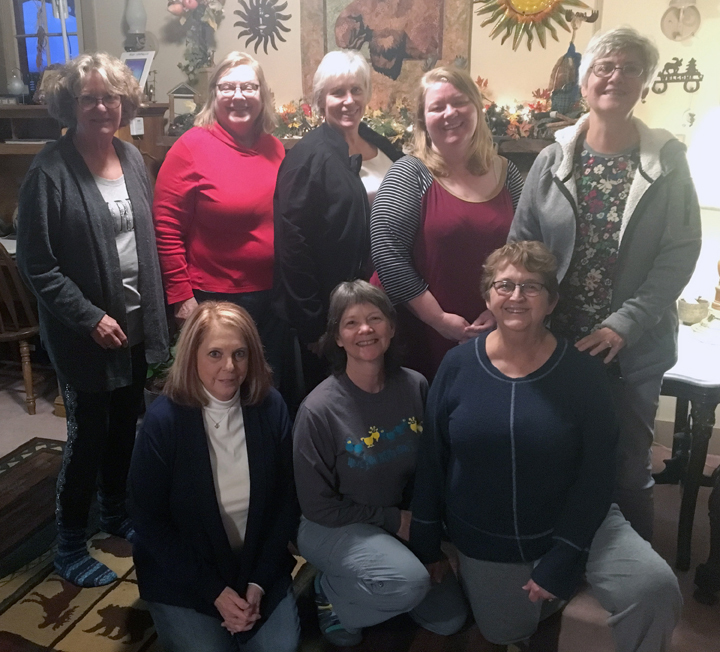 Group photo from my 3-day Fabric Collage workshop at the Twisted Scissors Quilt Retreat in Allenspark, Colorado, October 9-11, 2018. We ended up getting over 10″ of snow and had fun digging our cars out! Thanks ladies! It was fun!